Join our skilled guide for a tour to Sachsenhausen Concentration Camp outside Berlin. This is a tour you will never forget! 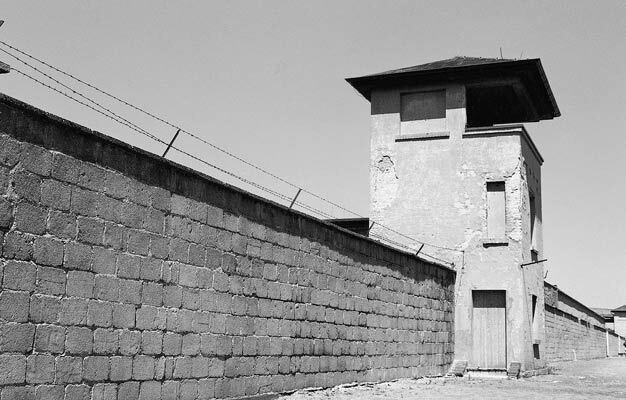 Learn about the concentration camp and its prisoners both under and after WWII. Visit the infamous concentration camp where more than 200,000 people were imprisoned by the Nazis and some 50,000 were brutally murdered. Sachsenhausen was initially used to imprison political opponents. Later the camp was used as a training ground for the Holocaust once certain groups had been defined as racially or biologically inferior. Your knowledgeable guide will uncover the realities of life and death in the camp: people fell victim to starvation, disease, forced labor, and systematic extermination. You'll also hear about life and death in Special Camp No. 7/1, as Sachsenhausen was to become known under the Soviets. Until its closure in 1950, a further 60,000 men were held captive here, mostly former Nazi functionaries, German POWs, and Soviet deserters. Some 12,000 inmates died of hunger, cold and disease under the Soviets. The tour starts in front of Starbucks opposite Hackescher Markt S-Station. Please be there 10 minutes before the tour starts. The Sachsenhausen Walking Tour ends at Berlin Hauptbahnhof (the main station). The tour lasts 6 hours. The tour includes a train ride, so please bring an ABC public transport ticket or buy one from your guide (An ABC-day pass costs €7.60). Can I buy food and drink at the Sachsenhausen Memorial? As there are limited possibilities to buy food and drinks inside Sachsenhausen Memorial, we advise you bring some with you. The tour departs daily at 10 AM.